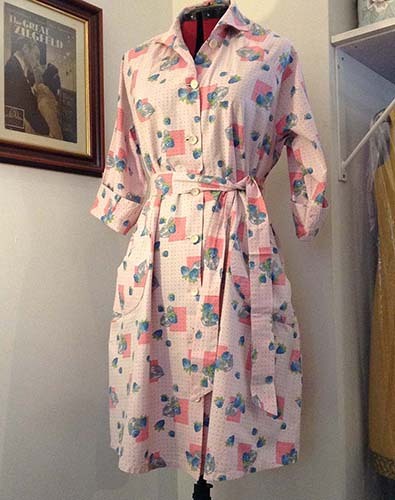 The second is a vintage 1940s-1950s vintage housecoat. Decades apart but both equally amazing, original vintage. 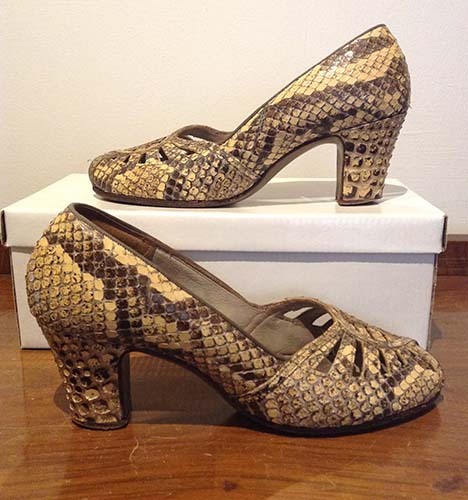 Other additions to the website include 1930s-style shoes – with more to come! Just posted! Three fabulous items from the Forties! These include a gorgeous blue floral dress, possibly a UK size 12 or 14, and some accessories that you can also find on our Etsy shop where you can find more photos and more shipping rates. I’ll be adding more items this week so do pop back soon! New addition to the shop is a beautiful pair of clip on earrings made in the 1950s for Christian Dior by Mitchel Maer. Maer designed for Dior from 1952 to 1956. A fabulous piece of vintage fashion and beauty Your opportunity to own some original Fifties’ vintage jewellery from Christian Dior!